Americans have typically shunned hatchbacks. It'll be interesting to see how this one does. 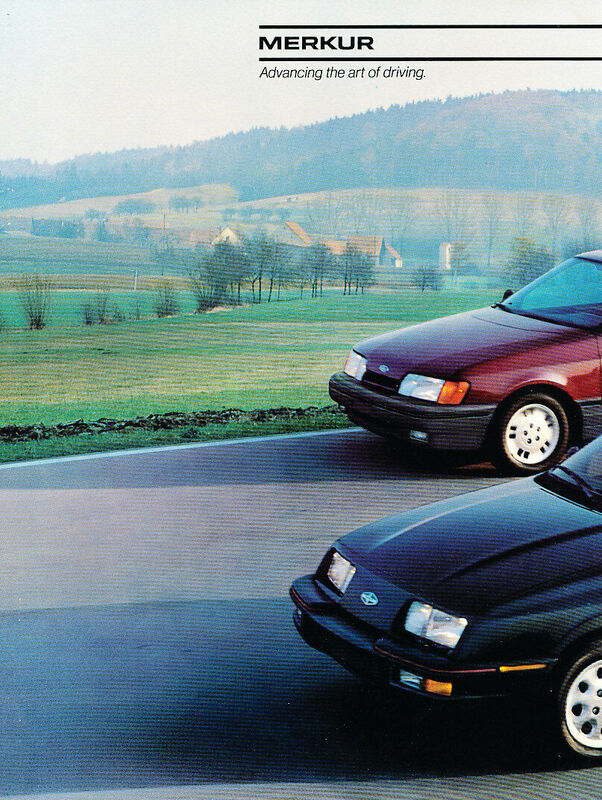 BTW, the pic of the Scorpio in that article shows the wheels that I believe the Merkur Scorpio was supposed to get. I prefer them to what the car actually got, but maybe they were deemed to unique and thus risky. I'm pretty sure the picture is a Ford Scorpio, not a Merkur. Agreed, but Joe Siler (Ford designer) brought along a press photo to Carlisle that showed a Merkur Scorpio with those wheels. BMW thought there was enough opportunity to sell the 5 GT and Audi the Q7. It's not bad company to be in. Our Scorpio wheel design lives on. Changed the tires on both of them. But still just 15's, yes? Regardless, too bad they weren't the stock Merkur wheel. Stock Scorpio wheel was a 14in steelie. Optional alu RS's were always 15 and cossie was the only one with 16in.